EAST ELMHURST— A local wine shop opened by two budding sommeliers has doubled in size to accommodate loyal customers who love their selection of vintages from around the globe. The owners of Addictive Boutique Winery on 87th Street expanded last week into the clothing store they own next door after an overwhelming response from local connoisseurs and plan to host classes to show customers how to make their unique DIY decor. "We just decided to go for the wine big time," said co-owner Francisco Diaz, 43. 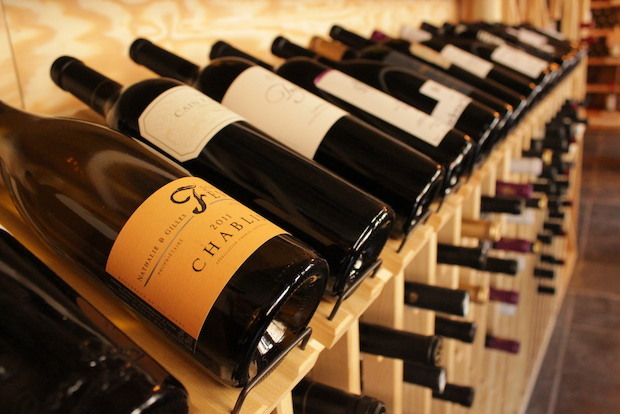 The increased space has allowed them to expand their selection of wines from around the world, and the shop now sells roughly 400 different brands — around five times more than the original shop, which opened last November. The owners will be adding wines from Croatia and Slovakia, as well as South Africa, in the coming weeks, in addition to an expanded selection of accessories like cooler bags and corkscrews. The larger space will also let them host more locals for their popular weekly wine tastings. "It's more like a family thing," Diaz said of the tastings. "I want to create something remarkable. The whole thing has to be an experience." He and his partner, Patrick Duong, 39, used recycled wine bottles to decorate the shop, turning them into lights and lining the top shelves with old bottles. Duong hopes to share their DIY decor with customers this summer by hosting arts-and-crafts days in their adjacent garage — accompanied by wine. He also hopes to display art and have shows featuring some of their shoppers who are also artists as part of the experience for their customers. "Customer first, always," Duong said. "We don't want to just sell wine, we want them to relax and have fun." The grand re-opening party will be held Saturday, May 17 starting at 6 p.m. There will be samples, snacks and live music. Visit the shop's Facebook page for more information.